Earlier we have published Crazy Puzzles to Test Your Eye sight. 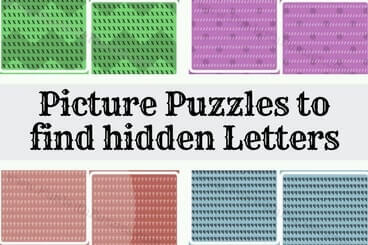 In these puzzles one has to find the mentioned hidden letter in the given picture. The picture contains the two set of different letters in which only one letter will be different. 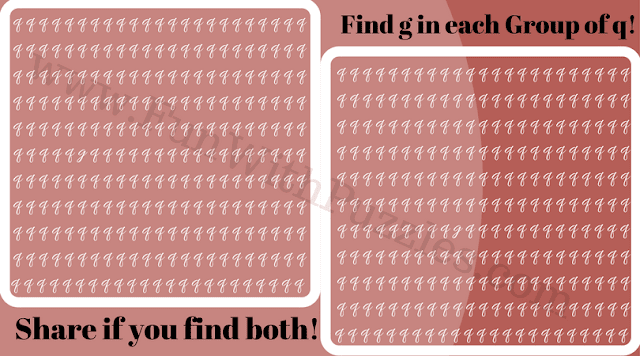 This is the challenge to find this given hidden letter. Today's Picture Puzzles to find hidden letter is extension of these picture puzzles. 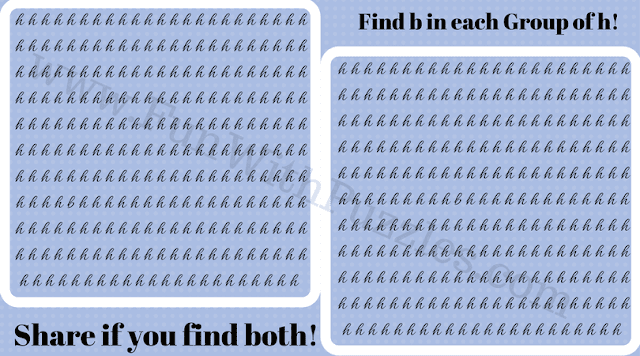 Do first solve the Fun Puzzles to find C in given Patterns for Kids as these are easy puzzles, then come back to this post to solve these tough puzzles. In these puzzles there are pictures which contains two sections. In each of the section, a set of letters is given. However one letter is different in each of the set from the letters in the set. This hidden letter is named at the top of each picture. Your challenge to find this hidden letter in each of these section. 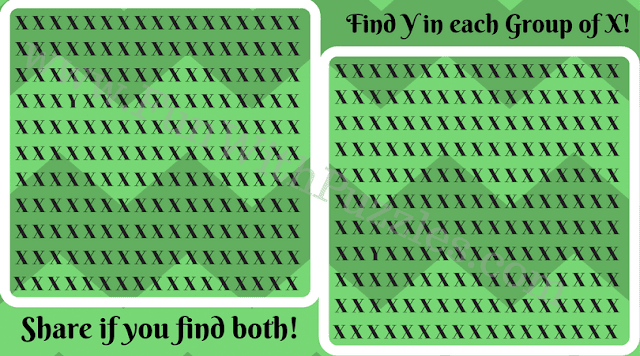 Do share these picture in case you are able to solve these puzzles. Answers of these puzzles will be given later. However if you are looking forward for answer of any particular puzzle, do post your request in the comment section. 1. Can You Find Hidden 'Y' in each group of X? 2. 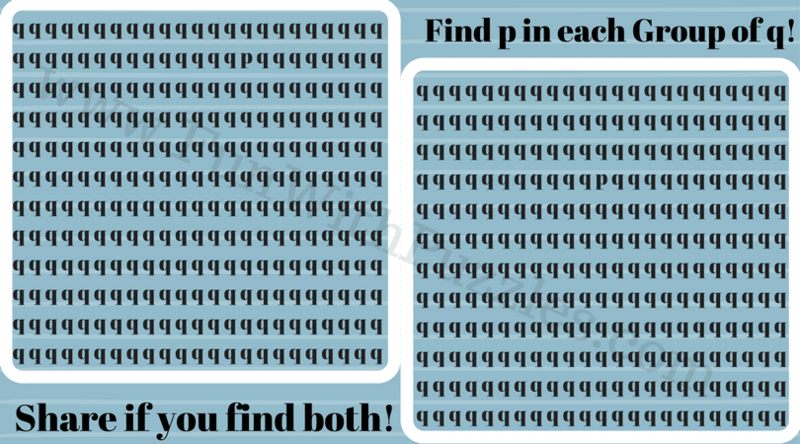 Can You Find Hidden 'p' in each group of q? 3. 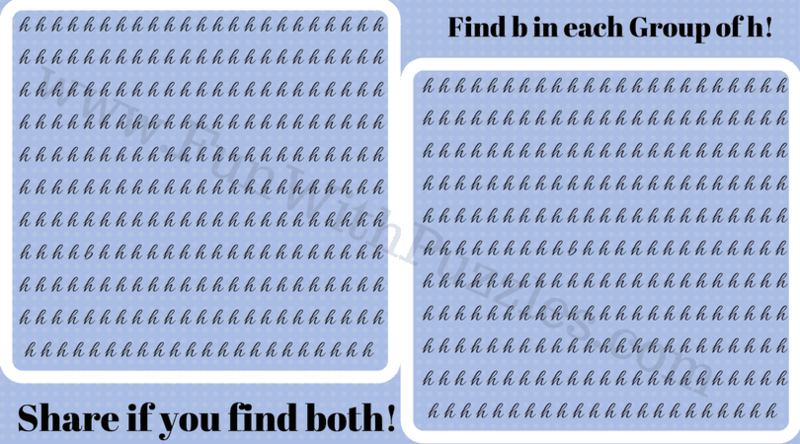 Can You Find Hidden 'b' in each group of h? 4. 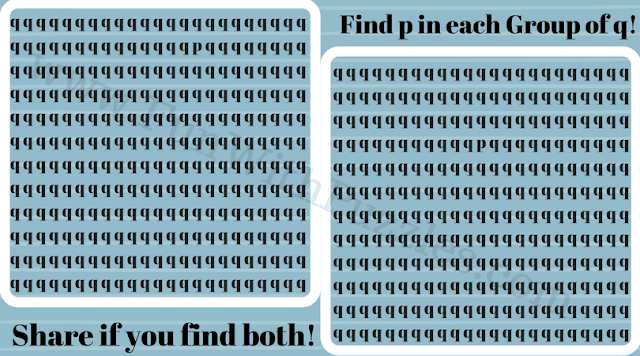 Can You Find Hidden 'g' in each group of q? 5. 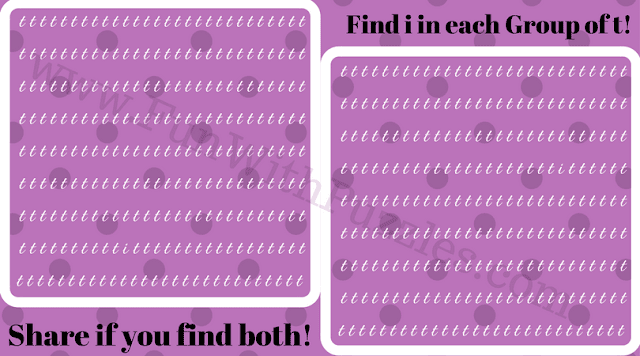 Can You Find Hidden 'i' in each group of t? 1. Picture Puzzles with Answers: This contains mix of different picture puzzles which will test your observational skills. 2. How to see a hidden picture in Stereogram? : Do you know what is Stereogram Picture? Can you see a stereogram picture? If not, do get to know more about this wonderful and practice this tutorial to see these beautiful hidden 3D pictures. 3. Cut the Cross Puzzle for Kids with Answers: This is very easy picture puzzle for kids in which a cross shape is given and your challenge is cut this shape in four equal parts in more than 2 different ways. 4. Rebus Puzzle Brain Teasers with Answers: If you know English language than try out these Rebus Puzzles in which your challenge is to find the hidden meaning in the given puzzle picture image.